Since I finished my last two quilts which were pretty easy to put together, I wanted my next quilt to be more of a challenge and this is what I chose-Swoon. 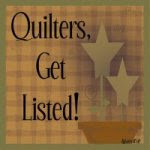 I have been watching everyone's Swoon quilts on blogs and on Pinterest and have fallen in love with it. 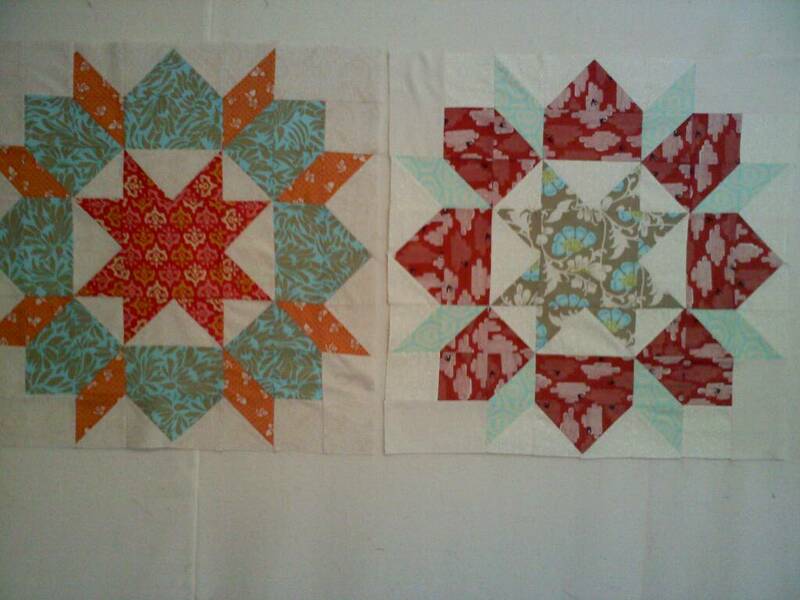 The original pattern calls for two colors and a background for each block using fat quarters. But since, as usual, I am using scraps, I sometimes don't have enough fabric. So I am using three fabrics and the background in each block and I love how it looks. I have some really great fabrics to use up and I had so much fun pulling fabrics for this. So block one and two are done and block three is almost done. While not a hard block to make, it does take some thinking which I like so I am thoroughly enjoying making these blocks. These blocks are big too, 24 inches, so it's very satisfying to get one done. So let me know if you have made a Swoon quilt so I can check yours out. Very pretty! With all that work, what a reward to have 24 inch blocks when you complete one. Can't wait to see more. I think the use of three fabrics plus background is fabulous. Love the three color Swoon! It's a great way to use up big pieces of scraps! Oh how I love the material and the pattern makes me swoon!! Your Swoon blocks are really pretty and even better - using up the stash! I've made one block and as soon as I finish the pieced border of my sampler quilt, I'll be Swooning, too. Nice blocks. 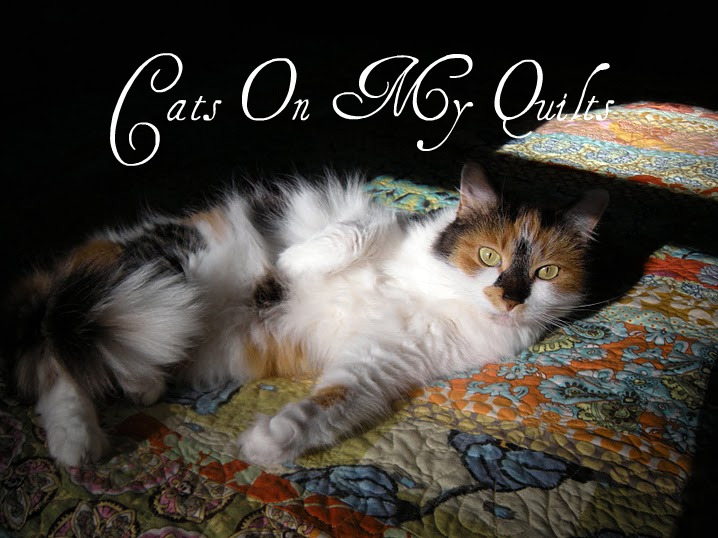 I will need to put this quilt on my 'to-do' list. I've never done a 24" block; the fact it would make up into a nice quilt fairly quickly is a major plus. Is "Swoon" then name of the fabric line or the block pattern? Whichever, I think it is just great!